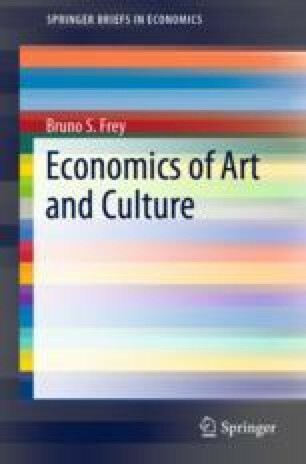 The supply of art deviates in several respects from the ideal of a well-functioning market. Deficits continually increase. On the demand side, problems are caused by merit goods, external benefits in production and consumption, and public goods. People value the options, existence, bequest, education, and prestige connected to the arts. These failures seem to speak in favour of government stepping in. However, government intervention is also liable to failure. Decisions taken in the political process may deviate systematically from the preferences of the population. Nonetheless, citizens are quite willing to support the arts with substantial funds if asked to in popular initiatives and referenda. The market failure approach is developed in many textbooks and readers on cultural economics.